Investors ought to be careful what they wish for from China’s reform drive. 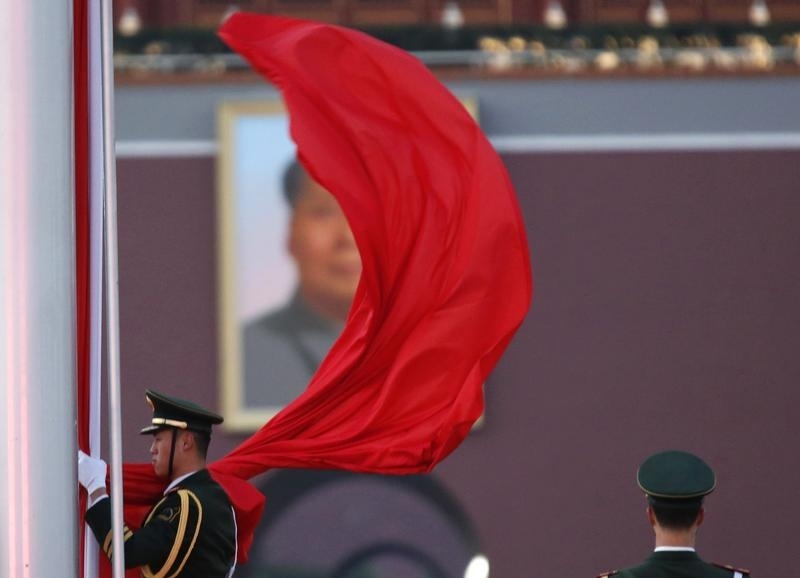 As the ruling Communist Party’s leaders meet to debate their 13th five-year plan for the country’s economy, the role of market forces is bound to come to the fore again. Yet even small signs of greater liberalisation can be enough to send markets into a spin. Economists and trade partners have long pushed for China to open up. The wish-list of changes includes freeing up the financial system; letting the yuan float; loosening the state’s grip on big corporations; shrinking its pile of foreign exchange reserves; and relying less on debt-fuelled investment to drive growth. But despite the party’s pledge in 2013 to let market forces play a “decisive” role in the economy, progress has been slow. Freeing up interest rates on bank deposits – completed on Oct. 23 – is one of the few tangible achievements to date. Defaults remain rare: troubled metals trader Sinosteel is the latest example of a state-owned company going to extreme lengths to avoid the embarrassment of failing to repay its debts. After its mini-devaluation in August, the yuan has returned to predictable stability against the U.S. dollar. And even though the economy may not expand by exactly 7 percent this year, there’s no sign that planners would accept a significantly slower growth rate. That’s just as well, because international investors have not responded well to even small signs of loosening. A mere 3 percent decline in the value of the yuan sparked a global market selloff that lasted almost six weeks. Shrinking foreign exchange reserves are now seen as a harbinger of capital flight, not healthy rebalancing. A potential corporate default is a threat to the financial system. Any indication that growth is slowing prompts demands for the government to cut interest rates and boost spending. China’s leaders give every impression that they value stability more highly than reform. Yet confidence in their ability to manage a complex transition in the world’s second-largest economy without a severe slowdown has suffered a blow. Greater economic freedom might be welcome in the long run. But few proponents of reform – inside or outside China – seem willing to accept the short-term costs. China has never said the economy must grow seven percent this year, Premier Li Keqiang said in comments reported by the government ahead of the party plenum, a key meeting that will set economic and social targets for the next five years. Li’s comments coincide with remarks by a top central bank official, who said on Oct. 24 that China would be able to keep annual economic growth at around 6 to 7 percent over that period. China cut interest rates for the sixth time in less than a year on Oct. 23. The People’s Bank of China (PBOC) also said it was freeing the interest rate market by scrapping a ceiling on deposit rates. Speaking at the Central Party School, which trains rising officials, Li said the economic difficulties ahead for China should not be underestimated. His report to the annual meeting of parliament set this year’s GDP growth target at about seven percent. “We have never said that we should defend to the death any goal, but that the economy should operate within a reasonable range,” the central government paraphrased Li as saying in a statement released on its website late on Oct. 24. The party’s central committee will meet from Monday to Thursday to set out the 13th Five-Year plan. The party’s People’s Daily on Sunday listed on its microblog what it said were 10 focus areas for the Five-Year Plan, including maintaining economic growth, improving the industrial structure and pushing forward innovation.